It took two minutes, a cotton ball, lots of blood, a nasty Autolet lancet device that doubled as a finger guillotine, and a clunky glucose meter. It took all of that to get a blood sugar reading and we were happy. Technology and advances in insulin analogues have vastly improved our diabetes management, but we’re still reliant on two important things to keep us alive: insulin and blood glucose testing. They work in symbiosis. When a blood glucose reading isn’t accurate, the dosing choices diabetics make can have disastrous consequences, both short and long term. Every time a person with diabetes checks her blood sugar, the test outcome is like target shooting with buckshot. The current FDA approved accuracy range is currently ±20 percent of the actual blood glucose level if it’s over 75 mg/dl and ±15 points if it’s below 75. My blood sugar is actually 180 mg/dl, but my meter could show anything between 144 mg/dl to 216 mg/dl. If it’s actually 65 mg/dl, my meter could show a result of 50 mg/dl to 80 mg/dl. So, what’s the big deal? Whoop-de-doo, right? Some meters and test strips are not giving those results. Not even close. More than 25% of currently available glucose meters fail to meet the accuracy standard set by the FDA. The ranges are wider. The diabetes treatment choices are based on the results given. Inaccurate results means that someone like me, who only treats a hypoglycemic reaction at 75 mg/dl or lower, may not treat a low blood sugar, putting myself at risk. Or I may give myself more insulin than necessary if the meter reading says I’m 216 mg/dl, but in actuality, I’m 180 mg/dl, setting me up for a future hypoglycemic episode, again putting myself at risk. Ongoing testing of BG strips to assure compliance with regulatory accuracy standards. Quality assurance should be done on strips sold through normal distribution channels. Standards for accuracy should improve to the latest ISO standards. We need better accuracy standards than ones created in 2003. CMS competitive bidding should create a process that consider quality not just price. Public awareness of how to file an adverse event complaint on BG testing systems. Contact information to file an adverse outcomes report should be on all BG testing devices. How do we help? Raise our voices to Congress through letters telling them that glucose test strip accuracy matters to 25 million of their constituents. None of what we’re asking is outrageous. The FDA is under Congressional mandate; they do what Congress says. Strip Safely has sample letters that you can use. Take your personal story and share it with Congress. Make sure they understand that they can help us by requiring post-market accuracy testing of glucose testing strips. With those samples, it will probably take you two minutes (O.K., maybe just a little longer than two minutes…) to send off your own letter. If you want, you can steal mine. Seriously. Just change the paragraph about how long you (or your child) has had diabetes. Would you allow an airplane to fly if you knew that it could only accurately land 80% of the time? Would you allow inebriated motorists on the road because the breathalyzer equipment used didn’t detect the correct BAC for two out of every ten people stopped? You wouldn’t, because you would be putting your constituents at risk. Yet, the FDA is currently putting many of your constituents in a precarious position by not providing post-market quality assurance testing of blood glucose strips. At twelve, I was diagnosed with Type 1 diabetes. For the past thirty years, my life has depended on a delicate balance of insulin and food to keep me alive and healthy. A blood glucose meter tells me how much insulin to take or how much food I need to eat when my blood sugar becomes low. I rely on that blood glucose meter and test strips to make crucial choices several times a day, and the wrong choice could have severe adverse consequences if the result showing on the meter is not accurate. Unfortunately, at a recent meeting with the Diabetes Technology Society, the FDA acknowledged that there is a problem with some blood glucose test strip manufacturers not delivering the level of accuracy for which they were approved. 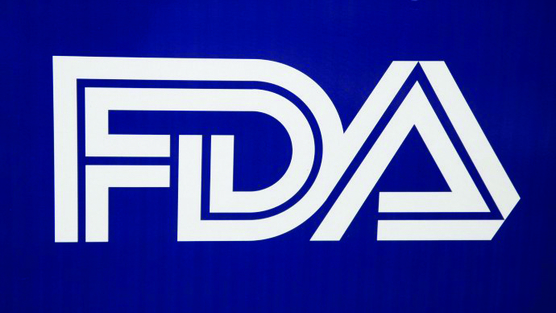 The FDA does not currently have a plan to do anything about the problem. This impacts more than just the diabetics who use these strips; it impacts their families who care about them. I need your help. So do the 25 million Americans who have diabetes and depend on blood glucose meters and test strips to stay healthy and alive. Will you advocate for us? Will you advocate with us? We’d like to see the FDA institute a post-market quality assurance testing program for blood glucose meters and test strips, ensuring that the current accuracy standards that the FDA set and continue to be met after the manufacturer’s initial 501K clearance. Please assist us in ensuring that many of your constituents are not at risk from adverse health consquences. I’d be happy to discuss this with you in further detail if you have questions or ways in which I could help. My contact information is below. Want to do more than just sending a letter to your Senator or Representative? You can join the Strip Safely team here and get the latest updates by email. You can write others that can help to make a FDA post-market quality assurance testing program for meters and test strips a reality. Their names and information are here. You can also donate to the Strip Safely campaign here. Please help. We want to strip safely.